Here is a (very small) selection of blogs by staff at the University of Oxford. To request an addition to this page, or change the current information, please contact digicomms@admin.ox.ac.uk. The Oxford Early Career Academic Outreach Network was founded in 2013 by Dr James Castell & Dr Eleanor David, two University of Oxford fixed-term early career academics who were managing portfolio careers that included professional outreach work. 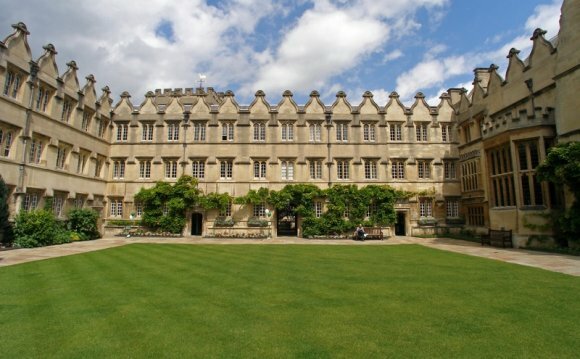 The Network aims to connect early career academics (DPhil students, postdocs or fixed-term lecturers from any subject area) with opportunities to do schools outreach in Oxford and further afield, as well as to provide them with appropriate training opportunities and recognition for their work at an institutional level. This network, which celebrated its first birthday in MT 2014, is intended to complement, not replace, current training provision elsewhere within the collegiate University and facilitates communication between the early career academic community and schools outreach projects across Oxford. If you are enthusiastic about widening access to higher education in general and the University of Oxford in particular, then please sign up now to be added to our database. Debating Development is a conversational blog from researchers and research students at the Oxford Department of International Development (ODID). The blog aims to promote conversation within ODID, as well as dialogue between the department and those interested in our work, on the issues we are researching. These include economic growth and instability, trade and investment, poverty and inequality, insecurity and conflict, the history of social and political change, migration and refugees, global governance and the environment, and children and human development. The Young Lives blog aims to promote conversation between Young Lives and partners in our four study countries of Ethiopia, India, Peru and Vietnam, as well as dialogue between the study and those interested in our work, regionally and internationally. Latest updates from Oxford University Computing Services. Dr Stuart Lee, Deputy CIO IT Services, blogs about IT-related issues of concern to the wider University community. Blogging the progress of the Erewhon project for creating a geolocation database for Oxford University and pursuing the goal of improving mobile access to Oxford's resources. World class open educational resources. Latest research from the Astrophysics department and a wider round-up of astronomy news. Blog from the research group in the statistics department focusing on aspects of protein modelling, homology modelling, membrane proteins, sequence alignment, anti-bodies, and drug-discovery. Balliol College ( /ˈbeɪliəl/), founded in 1263, is one of the constituent colleges of the University of Oxford in England.